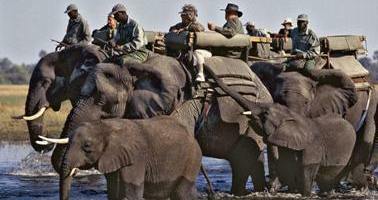 - A unique safari, covering both the Makgadikgadi Pans as well as the Okavango Delta. If you thought a safari was only about game driving across vast, wildlife-spotted plains, then this unique custom itinerary in Botswana’s Okavango Delta and the Makgadikgadi Pan will make you think again. There’s certainly game drives, and there’s also plenty of wildlife, but we’ve also got walking safaris led by expert Bushmen trackers, traditional mokoro safaris and quad biking, and otherworldly, lunar-like landscapes, just made for marvelling at. After all, we do like to be a little different at Natural Selection. The Okavango Delta and the Makgadikgadi Salt Pans couldn’t be more different – and that’s exactly why we’ve combined them in this itinerary. When you reach the Makgadikgadi, you might think you’ve arrived on another planet. Shimmering salt stretches as far as the eye can see, silence dominates, and it’s all yours to discover as you wish. Then it’s off to Khwai Private Reserve, a luscious land of winding waterways, thick forest and emerald-green grass, not to mention a jaw-dropping concentration of wildlife. Talk about chalk and cheese! If there are two things you’ll definitely not forget in a hurry, they are racing across the Makgadikgadi Pans atop a quad bike, and spending time with habituated meerkats. Spend the morning with one of the Zu/’hoasi Bushmen of the Makgadikgadi, and delve deeper into the history of the mysterious land. Discover the rare, desert-adapted animals that call the Makgadikgadi home. 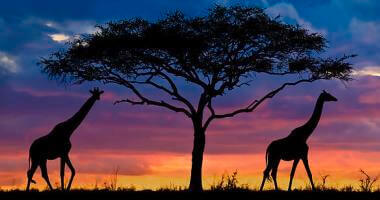 Mix and match your game viewing and explore Khwai Private Reserve on game drives, walking safaris and night drives. Prepare to be amazed at the astounding variety of wildlife in Khwai, from rare antelope to lion and leopard, and enormous herds of elephant to wild dog. Wildlife-watch from the comfort of your tent at Sable Alley, and watch the comings and goings of the animals at the waterholes in front of camp. Settle into safari-life at Jack’s Camp, and marvel into the astonishing scenery in this extraordinary corner of Botswana. The next two days are jam-packed with activities, and on the menu, we’ve got walks with the Zu/’hoasi Bushmen, game drives, quad bike explorations, and meetings with cheeky meerkats. Today, you’ll leave the shimmering salt pans behind and head for the greenery of Khwai Private Reserve and Sable Alley camp. Rise early for wildlife-filled game drives, and take afternoon meanders along the river, or, if you’re activitied out, try an ‘armchair safari’ in camp, and wait for the wildlife to come to you. We won’t say too much about today, but at some stage you’ll have to leave and head back to Maun for your onward flight. The tents at Jack’s Camp are pitched on a low, grassy knoll amongst an oasis of desert palms in the heart of the lunar-like Makgadikgadi. The camp’s hub is the mess tent, a canvas pavilion where three-course dinners are served at tables draped in the finest Damask linen. The ten, 1940s-style canvas bedrooms all have ensuite bathrooms, indoor and outdoor showers, and private verandas with views over the bleached landscape. There’s also a swimming pool and a Natural History Museum to keep you busy, even in the quiet times. Opened in 2017, Sable Alley is a modern slice of light, bright and beautiful luxury amid the game-rich floodplains of Khwai. The best news is that it’s as sustainable as it is sophisticated – the camp was in fact established to create a meaningful bridge between the tourism industry and local villagers, and we’re proud of what we’ve achieved so far. The elegant tents overlook a peaceful lagoon, and you can enjoy the views from one of the 12, ensuite bedrooms, the swimming pool, or the stylish main area. You might think, at first glance, that not a soul could survive in the bizarre environment of the Makgadikgadi Pan. But spend a few days here, and you’ll find the myriad of wildlife that calls the moonscape home. Meerkats pop up from the desert dust (always a highlight), nomadic elephant wander, and Kalahari black-maned can sometimes be found, slightly further afield. One of the icons of the pan is the brown hyaena. 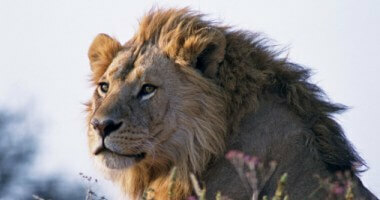 The third rarest carnivore in Africa, it’s an animal that’s pretty much impossible to see anywhere else. And whilst we’re on the subject of rare, every so often you might catch a glimpse of a bat-eared fox or an aardwolf, a cheetah or leopard. Pricing Information: From $6,654.00 per person sharing in the green season. Wifi: Wifi is not available for the duration of this trip. 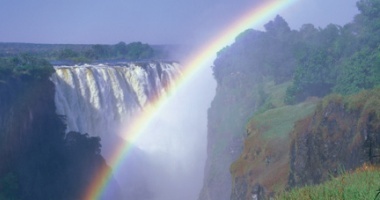 Extension ideas: Go wild and spend 2 or 3 nights mobile camping in the heart of the Okavango Delta, or the Kalahari. Please ask for details!